What do we know? Read it below! Then on Thursday eve check out our Weekender Edition, for updates. With several strikes breaking up the asphalt, it’s out! Today crews began prepping Fauntleroy Wy SW near Fairmount for a new concrete sidewalk. Dry weather could bring a concrete home-run by COB July 6. E side parking lane/bike lane closed July 2, 3, 5, and 6 from 8 AM to 4 PM. UPDATE: Parking allowed–outside of work hours; all day July 4; and Sat/Sun while concrete cures. SUN 7.1 → the year 2023! The drive-on entrance to Colman Dock is now at S Jackson St and Alaskan Wy S–closer to Pioneer Square. The change 6-blocks south is for drivers only, during Colman Dock construction the next 5 years. All vehicles use S Jackson St entrance. No changes to pedestrian and bicycle entrances. Public parking will be available in front of the passenger terminal building, between Madison St and Yesler Way. No changes to pedestrian and bicycle entrances. MON 7.2 → TUES 7.3 | The I-5 NB off-ramp at Seneca St will be closed for paving work on 6th Ave, happening between Marion and Madison streets; between Spring and University streets; and at the Cherry St and the James St intersections. NB I-5 off-ramp at Seneca fully closed 10 PM → 4 AM. Travel lane and parking restrictions 6 PM → 6 AM. TUES 7.3 | After the Mariners vs. Angels game at Safeco Field Tuesday night, stick around for fireworks! First pitch is at 7:10 PM. Approximately 36,000 people anticipated. Heavy SODO traffic expected! Use alternative transportation. W Seattle 4th of July Kids’ Parade. WED 7.4 | This Annual Holiday Kids’ Parade starts at 10 AM at the corner of 44th & Sunset Ave SW, proceeding to Hamilton Viewpoint Park. Decorate your wagons, bikes, scooters, and strollers with the red, white, and blue! Estimated attendance is 1,000. Summer Fourth at Gas Works! WED 7.4 | The Seafair SCCA Summer Fourth is coming! The celebration is at Gas Works Park, noon – 11 PM. A 20-minute fireworks show over Lake Union begins around 10:20 PM! Estimated attendance: 40,000. Fremont and U-District area traffic congestion expected!! NOTE: King County Metro is running extra late night bus service! WED 7.4 → THURS 7.5 | The Mariners schedule continues with the L.A. Angels. July 4 – First 20,000 fans @ 1:10 PM game get a stars & stripes cowboy hat! 28,000 people expected. July 5 – Mariners Value Game @ 7:10 PM – select $15 Bleachers/View seats or select $30 Main/Club seats; 20,000 people expected. 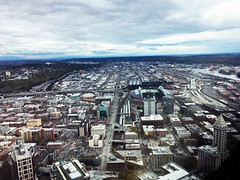 Expect SODO traffic congestion! Plan alternative transportation? 2018 flame & 2022 host city. FRI 7.6 | The 2018 Special Olympics Closing Ceremony, free and open to the public, runs from 7 to 9 PM Friday. At Lake Union Park, the 2018 Special Olympics flame will be officially extinguished; the 2022 Special Olympics USA Games host city announced; and musical performances will celebrate the athletes, bidding farewell to those from other U.S. states. Estimated attendance is 8,000. July 6 – 7:10 PM Girls Night Out promo – 24,000 attendees expected! July 7 – 1:10 PM game; Sunglasses Day – 32,000 people expected!! July 8 – 1:10 PM start; post-game bases run for fans! – 35,000 expected!!! Expect SODO traffic congestion! Plan alternative transportation. Seafair pirates to storm Alki! SAT 7.7 | The Seafair Pirates will storm Alki Beach in West Seattle Saturday, to kick off the 69th annual Seafair. From 10 AM through 5 PM and estimated 3,000 people will join in the pirates’ landing event! SAT 7.7 | Kenny Chesney comes to CenturyLink Field Saturday, to give a 5 – 11 PM concert. Estimated attendance is 40,000 to CenturyLink–-expect heavy traffic! SAT 7.7 | Harry Styles is performing in concert at KeyArena Saturday, 8 – 11 PM. To be styling, yourself, consider your transportation options in navigating the X-factor of 10,000 expected attendees. 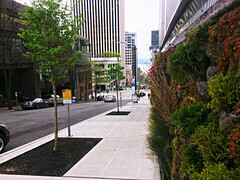 Anticipate traffic congestion in Lower Queen Anne and South Lake Union neighborhoods. Follow us on our dedicated traffic Twitter channel for the latest. Food Fest: 5 blocks & 150 booths. SAT 7.7 → SUN 7.8 | The Seattle Street Food Festival is coming…from lunchtime until well into the wee snack hours in South Lake Union! An estimated 15,000 people will check out this event Saturday, and another 10,000 on Sunday, from 11 AM through 10 PM. Closed for the event: 9th Ave N between Mercer St and Denny Way–including side streets between 8th Ave N and Westlake Ave N.
2nd Ave reduced to one lane, Pine St to Pike St, 5 AM – 5 PM. 1ST Ave closed from Cherry St. to Yesler Way, 5 AM – 1 PM. Republican St closed, Fairview to Minor avenues N, 9 AM – 7 PM. 6th Ave closed from Stewart St to Virginia St, 7 AM – 5 PM. Sneak peek at next week. July 13 → 15 | Ballard Seafood Festival expected to draw large crowds that Friday, Saturday, and Sunday. July 13 → 15 | West Seattle Summer Fest – California Ave SW between Edmunds and Genesee. July 13 → 16 | WSDOT Full NB I-5 closure at W Seattle Bridge off-ramp to Seneca St, starting at 8 PM Friday. July 14 → 15 | Dragon Fest 2018 @ S King St/Hing Hay Park. July 15 | SB I-5 traffic reduced to two lanes between Northeast 45th St and SR 520, from 2 AM through 12 PM. This Ship Canal Deck work is weather dependent. July 15 | NE 45th St on-ramp to NB I-5 closed from 2 AM to 12 PM. This Ship Canal Deck work is weather dependent. Visit WSDOT King County weekly update page for more information. Email us or call 206-684-ROAD. For more construction information, check out our construction look-ahead and traveler’s map. A Near-Term Action Plan for city & regional commuters. The One Center City Near-Term Action Plan identifies key projects and programs that will help keep people and the economy moving even as major construction projects and growth-related congestion reduce street capacity over the next 3-5 years. Without action, these pressures will slow all vehicles moving to and through the Center City, resulting in longer travel times for bus riders, drivers and delivery vehicles, plus crowded bus stops and sidewalks. Working together, the City of Seattle, King County Metro, Sound Transit, and the Downtown Seattle Association (DSA), have dedicated $30 million to fund near-term improvements that will ease pressure on downtown streets and contribute to great downtown places for people. To learn more about the near-term projects visit onecentercity.org. This program of partnership investments is critical to people throughout our region. 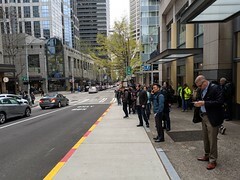 An enormous volume of transit riders come to the center of Seattle from all parts of King, Snohomish, Pierce, and Kitsap counties every day – and much of the transit travel experience relies upon Seattle’s downtown grid working reliably for transit and other people-carrying modes. Improved signal at 4th Ave & Cherry St. Implementation of two key projects have already begun for 2nd and 4th Ave signal and transit improvements. Changes to traffic signals may not be obvious and may seem small, but they provide significant benefits to mobility, transit speed and reliability, and safety. Signal changes on 4th Ave are nearly complete! These signal changes, when paired with similar signal improvements on 2nd Ave that will be complete by mid-2018, and other planned transit improvements on 4th Ave allow buses to move more quickly and improve safety by reducing conflicts between pedestrians, turning vehicles, and buses. Launch tools to incentivize telecommuting. Partner with navigation applications to provide insights on best times to leave downtown. Support innovative options for first and last mile transit trips such as bike share, micro transit, and carpooling apps. Read the full Near-Term Action Plan at onecentercity.org. 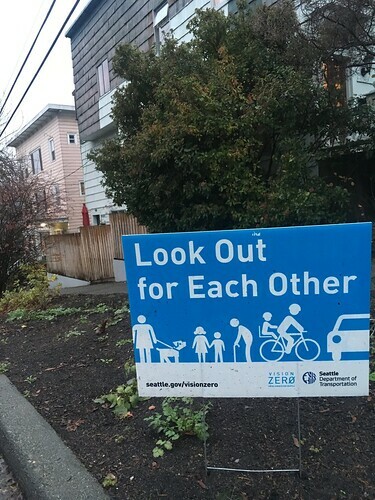 Sign-up for weekly SDOT Events Traffic Advisories. Public safety is our top priority at SDOT. So, we had to close the northbound right lane of 4th Avenue South over the Argo bridge (just north of S Dawson St to just south of Costco) for possibly up to twelve months. The bridge has some cracking and needs to be repaired. While it’s safe to travel on, we wanted to reduce the load on the outer edges of the bridge deck, which is why we needed to close that lane. 4th Ave S over Argo bridge connects historic Georgetown to downtown Seattle. During this time, two lanes of southbound traffic are open, but large trucks will have to use the center lane when crossing the bridge. People walking and biking will still be able to use the sidewalk on the west side of the bridge. Routine inspection of the Argo bridge found that more reinforcement is needed of the cantilevered ends of the main span piers. When it’s all fixed, the northbound curb (right) lane will be reopened but oversized trucks won’t be allowed on the bridge. A temporary variable message sign will let northbound drivers know about the traffic change on 4th Ave S during the initial phase of the lane closure. We know this lane closure will cause delays for regular users of this route, but this short-term inconvenience will be outweighed by the much longer-term benefit: a stable, rehabilitated bridge for all users. We want to make sure everything is safe so we can maintain mobility through the city. As always, public safety is our top priority. Reducing truck time in a load/unload space in the city (aka “dwell time”). Minimizing failed first package deliveries. About 8-10% of first delivery attempts in urban areas are unsuccessful, creating more return trips. The urban goods delivery system includes both public and private facilities. 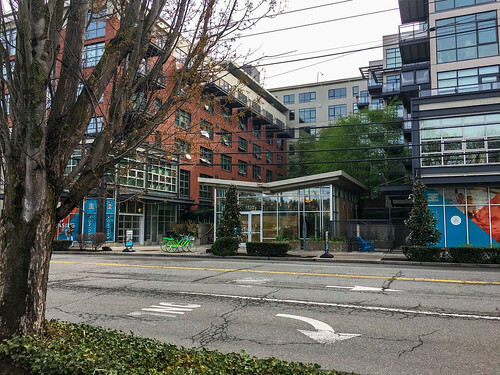 While street parking facilities are well documented in Seattle’s databases, off-street private facilities are not. UFL researchers spent last autumn collecting data on off-street private goods delivery facilities in downtown Seattle. 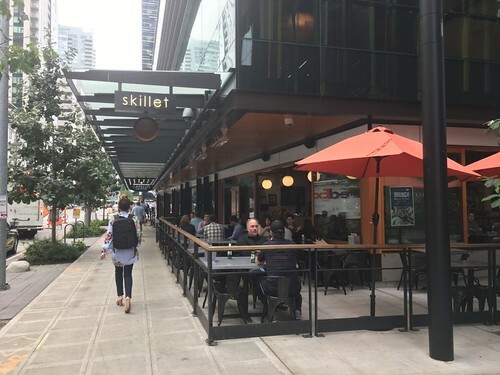 The team utilized SDOT’s data to begin developing a multi-layer map of truck load/unload locations in all 523 blocks of downtown including Belltown, the commercial core, Pioneer Square, International District, South Lake Union, and Uptown Urban Centers. Over the next year, we will expand the data collection process to inventory off-street private facilities in First Hill and Capitol Hill. We hope to continue the partnership with UFL to better understand peak hours for public load zones and alleys day-to-day, and thus inform how we manage urban goods delivery street space. Along with thousands of commuters who head downtown every day, freight delivery drivers are trying to drop off goods and keep customers happy. 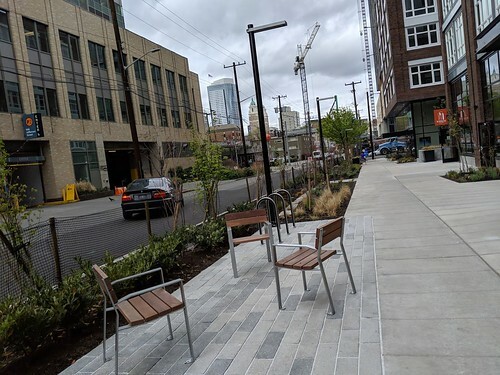 Sometimes, the journey from warehouse to downtown building happens on public streets, but we want to make sure that last leg from the load zone to the lobby – the final 50 feet – is as seamless as possible. To make it easier to deliver goods in Seattle, we entered into a 3-year partnership with the University of Washington and private businesses known as the Urban Freight Lab. The Final 50 Feet Program looks at improving delivery at the end of the supply chain: loading areas, traffic control, and street design. This will help us understand and maintain safer, more efficient deliveries throughout the city and the Puget Sound region. The first step is to gather data on how people and goods are interacting right now. 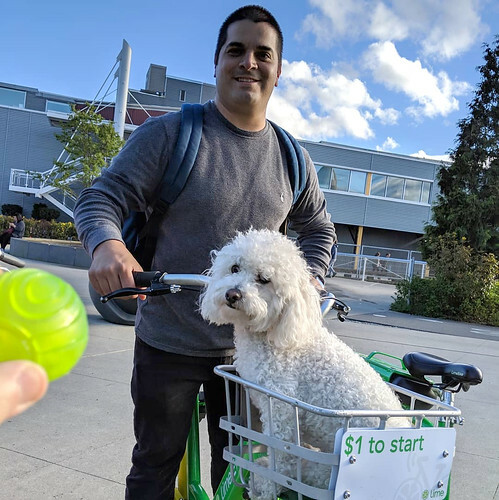 Downtown, from the waterfront to I-5, and from Denny Way to S Dearborn Street, grad students are collecting data on loading bay locations, load zones, alleyway access and any other means of delivering goods to downtown destinations. Next, we’ll identify changes that could help reduce congestion and collisions. Teaming up with the Urban Freight Lab, we’ll pilot test solutions in a real-world environment. Seattle is committed to being a leader in urban goods policy and problem-solving and keeping our economy thriving. 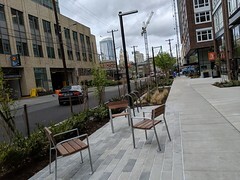 To learn more, please visit The Final 50 Feet Program webpage or contact Christopher Eaves at Christopher.Eaves@Seattle.gov. The New 2016-2017 Winter Weather Brochure and Snow Route Maps are here! SDOT’s annual Winter Weather brochure has a large map of Seattle’s snow and ice routes, lists important telephone numbers and web sites to use during winter storms, and offers preparedness tips. Here’s a link to our Winter Weather page that has useful information about what to expect when it snows. The brochures will be free at Seattle Public Library branches and Neighborhood Service Centers. This year we will again distribute the brochure to elementary schools in the Seattle public school district for children to take home to their parents. 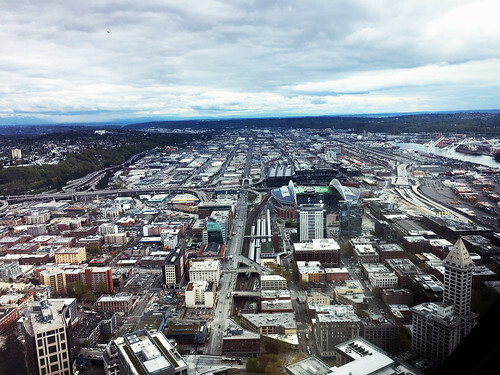 SDOT hosted the first Mobility Innovations Forum Monday, the topic Mobility Hubs. We’re hosting a speaker series on mobility innovations, running through mid-2017 (see below). 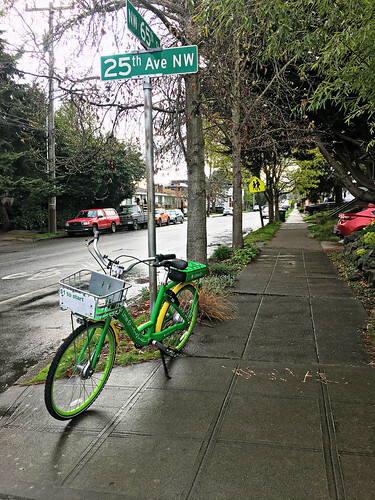 The City of Seattle is partnering with transit agencies and private mobility services to develop a network of shared mobility hubs throughout the city, providing better mobility and integrated transportation choices for all. 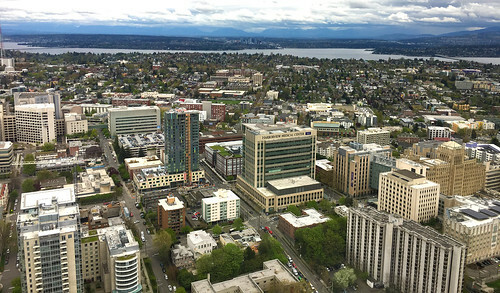 Topics will include mobility hubs, smart mobility strategies for high growth in Seattle, preparing for autonomous vehicles, and making shared transportation equitable. Scott Kubly, Director of Seattle Department of Transportation; Seleta Reynolds, General Manager of Los Angeles DOT; David Bragdon, Executive Director of TransitCenter; Sharon Feigon, Executive Director at the Shared Use Mobility Center, discussed their thoughts on mobility hubs as Ross Reynolds from KUOW, moderated the conversation. Scott Kubly, SDOT Dir; Speakers: Seleta Reynolds; David Bragdon; Sharon Feigon; Ross Reynolds KUOW. Scott Kubly , SDOT Dir. addresses attendees alongside featured guests. Mobility hubs provide an integrated suite of transportation services, supporting amenities, and urban design enhancements that reduce the need for single occupant vehicle trips by increasing first mile/last mile access to high-frequency transit stations. Mobility hubs are places of connectivity where different modes of transportation such as walking, biking, ride-sharing, and public transit, cometogether seamlessly at concentrations of employment, housing, shopping, and/ or recreation. Hub features can include: bikeshare, car share, neighborhood electric vehicles, bike parking, dynamic parking management strategies, real-time traveler information, real-time ride-sharing, demand-based shuttle, bicycle and pedestrian facility improvements, wayfinding, urban design enhancements, and supporting systems like mobile applications, electric vehicle charging, smart intersections, and a universal payment system to make it easy to access a wide range of travel options. Please join us at the upcoming forums. More details will be posted, we appreciate your participation in the months ahead. Questions, please contact Evan Corey: evan.corey@seattle.gov. 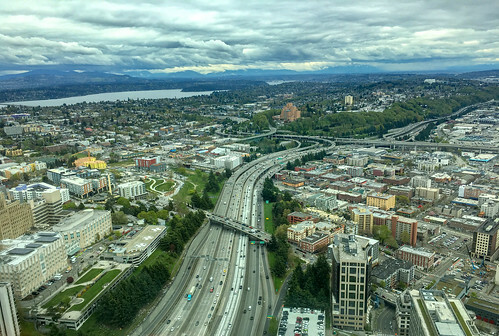 Seattle is deciding the future of how trucks will get around our city, and the Freight Master Plan provides us with an opportunity to help move goods efficiently and safely through the city. Local residents, businesses, freight companies, manufacturers, and community councils have weighed in – now we want to hear from you! Forty percent of jobs in Washington are tied to freight related activity, and that includes more than just next day deliveries from online shopping. The medicine for hospitals, the groceries for stores, the gas for cars, even the beer at your favorite bar all depend on Seattle’s network of planes, trains, ships, and trucks. To reach these goals, we’ve proposed a number of ideas, ranging from redesigning intersections and restricting idling to improving loading zone enforcement and implementing new emissions reduction technologies. 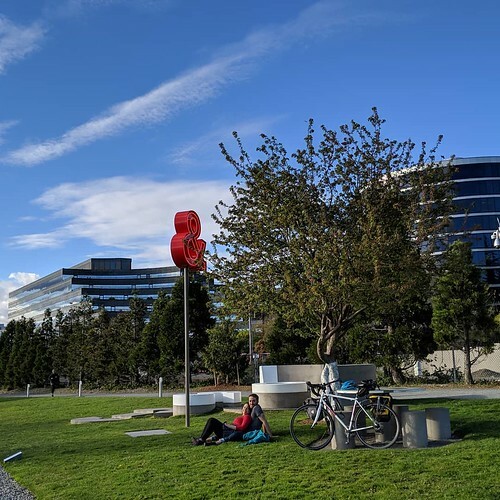 In addition to city funds, these efforts will be supported by the Levy to Move Seattle, the Port of Seattle, the State of Washington, and federal grants. Our city has come a long way since the above photo from First and Pike a century ago, and we need a freight plan that makes sense with modern demands. 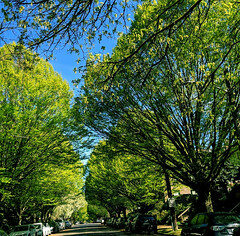 We want to hear your ideas of how we can keep goods moving, keep streets safe, and keep Seattle green today and in the future. Read the full proposal here, and be sure to send your comments to FreightMasterPlan@seattle.gov by July 8, 2016. 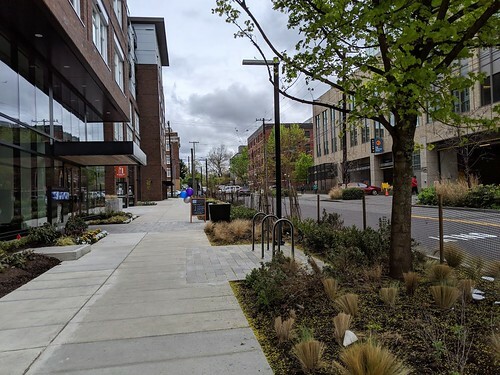 SDOT is going ahead with plans to build a bridge over South Lander Street between 1st and 4th avenues south to improve traffic, rail operations, and safety in the SODO neighborhood. At this early phase in the design process, we want to hear from you. Learn more about the project and share feedback on key design features at our South Lander St Bridge Project Open House on Wednesday, June 8, 2016, from 4 to 6 p.m. at Metropolist located at 2931 1st Ave S in Seattle. If you can’t make it to this Open House, you can visit our online open house, available from June 6 -17 at landerbridge.participate.online. South Lander St includes a crossing of four railroad tracks, which creates safety risks and traffic delays. South Lander St is an essential east-west corridor in Seattle’s SODO neighborhood. 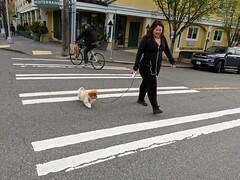 Every day, the street serves freight, commuters, pedestrians, and bicyclists, as well as King County Metro buses and the Port of Seattle. The corridor includes a crossing of four railroad tracks, which pose a safety risk and can cause traffic delays. Train crossings result in the road being closed more than 4.5 hours per day, impacting the mobility of tens of thousands of people and severely affecting access to port and local manufacturing facilities. 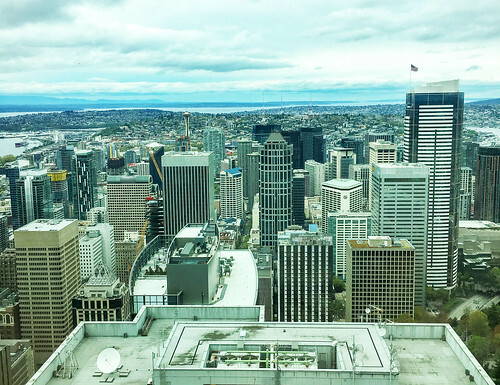 South Lander St creates direct connections to facilities critical to our economy at the Port of Seattle, which contribute to 75,000 existing jobs and an additional 25,000 jobs that are forecasted by 2040. The project may sound familiar – it went through preliminary design in 2007, but was put on hold. Thanks to the voter-approved Levy to Move Seattle, this project is moving forward again. Our transportation system has changed since 2007 and SDOT engineers are reevaluating the project’s previous design concepts to ensure the safest and most effective solution. For more information about the S Lander St Bridge Project, visit the project website. Email lander_bridge@seattle.gov to join our email list. South Holden Street is the gateway to the extensive industrial area in the South Park neighborhood. 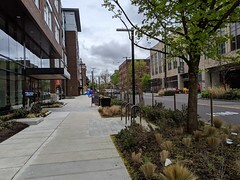 This busy street carries a constant flow of heavy trucks, Metro buses and connects highways SR 509 and SR 99 to South Park’s industrial businesses. Years of wear and tear had naturally taken their toll and filling potholes was no longer effective, so this month SDOT repaved the busiest three blocks of S Holden St.
SDOT crews worked all day on a Saturday to get the job done without impacting the businesses that rely on this street every weekday – with remarkable results. Before and after the repairs on S Holden Street show a major improvement. 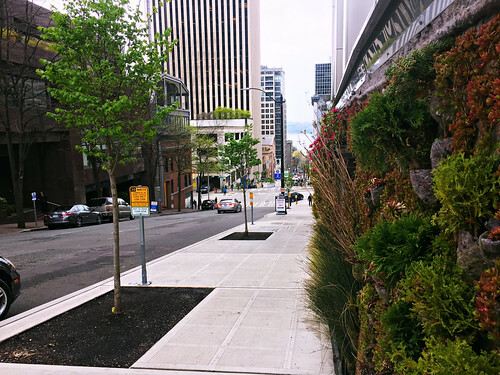 This project was funded by SDOT’s Arterial Major Maintenance (AMM) program, which maintains our busiest streets through strategic small scale pavement repairs to key locations in greatest need of repair. SDOT and Seattle Public Utilities (SPU) are planning a much larger project on these same blocks of S Holden St in the next few years which will include drainage infrastructure and permanent street repairs. 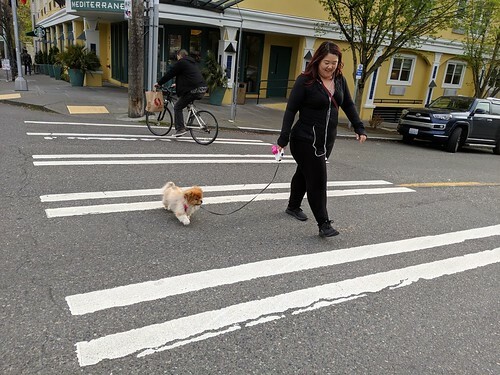 SDOT determined that this key freight street should not wait years before being repaired, so this month’s repaving job provided a strategic, relatively low cost interim repair which vastly improved the street condition before the extensive SDOT/SPU project happens in a few years. See more information on our Street Maintenance Program.